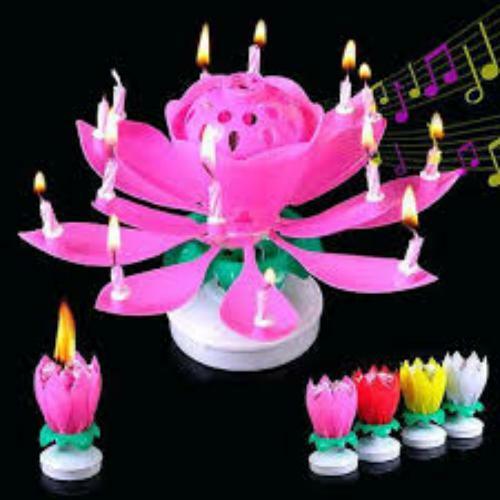 Online Shopping in Pakistan Flower Musical Birthday Candle with Free Home Delivery and Payment On Delivery.Flower Musical Birthday Candle (Product Code: ) offer by DiscountMall at just ₨400/- instead of Rs 800/-, enjoy Fast Shipping with FREE HOME DELIVERY. 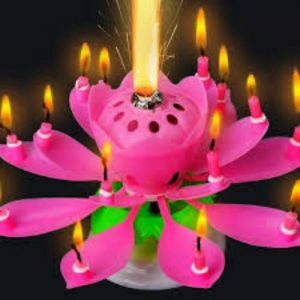 These musical flower birthday candles will definitely “wow” the crowd. The candle first appears as a closed flower bud. 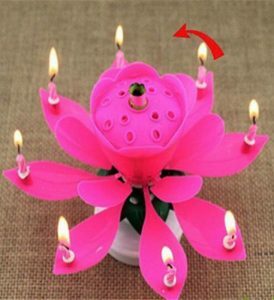 Once lit, the center flame lights the 8 smaller birthday candles attached inside to each flower petal. 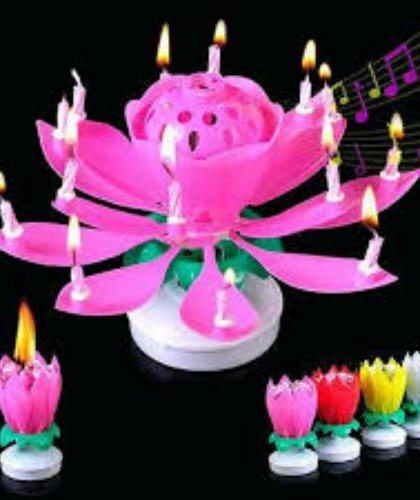 Then the flower opens up and turns to the tune of Music on a wide plastic foot which sits easily on top of a cake.